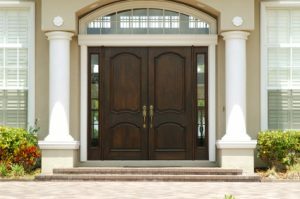 Is it time to replace the entry door at your residence in Destin? If so, you’re probably on the hunt for a well-regarded door installer in the area who you can trust will provide you with a durable, long-lasting product and seamless installation experience. Thankfully, there’s Majors Home Improvement. We have spent more than two decades helping homeowners just like you with the renovations they need, and it would be an honor to work with you. With an A+ rating with the Better Business Bureau and a five-star rating with GuildQuality, we stand out from other door companies in the area as one completely dedicated to top-notch customer service. When you partner with Majors for a new entry door, you’ll be pleased to know that we don’t install anything less than top-of-the-line products for our customers. Our Majors Select™ Entry Doors feature a polyurethane core to provide an effective barrier from the outside elements and enhance a home’s energy efficiency. They also resemble beautiful wood-grain textures to boost the curb appeal of a home. Even better, you’ll have numerous ways to customize your entry door. You will have your pick of hardware, glass designs, sidelites, and more. At Majors, we’re proud to provide Red Carpet Service. You’ll receive regular updates about the status of your project through phone calls and emails. During installation, our team will arrive on time and work efficiently to take care of your door installation quickly but without sacrificing precision. They will also go the extra mile to ease the stress of your pets, keep your landscaping intact, and leave a clean home when they’re finished. That’s just the way we do things here at Majors. If you want to work with one of the top door companies in Destin, give Majors Home Improvement a call today or fill out our online form. We’ll be happy to schedule a complimentary consultation at your convenience.